Everybody these days has heard about Cryptocurrency. The only people not talking about them are those too lazy to or those not connected to the internet. You could say with certainty that it is the most “hyped” topic, fully mainstream. However, despite the fact that the topic is discussed everywhere, even on television, the majority of the population don’t have a comprehensive understanding of what it is. In the context of profiting off cryptocurrencies, practically everyone finds themselves in a “dark forest”, where it is completely unclear where to go or what to do in order to earn a real profit. 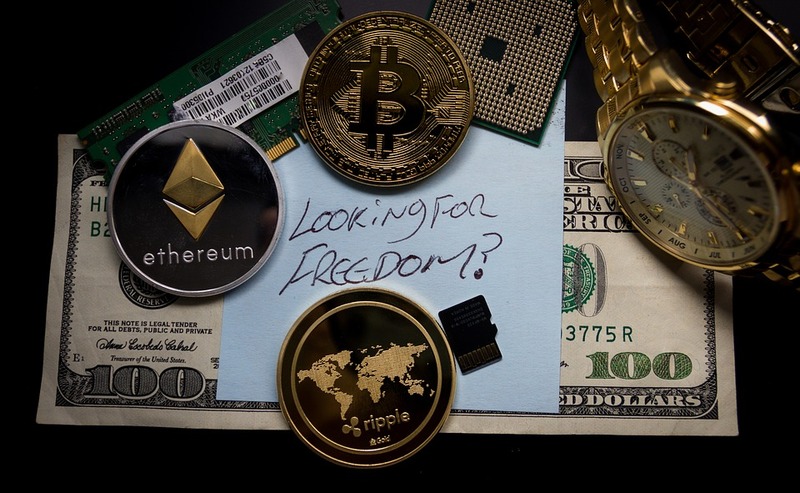 In this article, we plan to “pull back the curtains” a bit, so that every reader, even those completely unfamiliar with the topic, leaves with a basic understanding of what cryptocurrencies are, why they are popular, and, most importantly, how to earn real money off them. It is worth noting from the start that this plan doesn’t include a consideration of the technical details of working with this technology. The main emphasis will be on the various interesting aspects specifically, and how they can be useful to the average person on the internet. What is cryptocurrency? It is the leading question of everyone new to the topic. The question can be answered in one sentence. Cryptocurrency is a new type of virtual money, which has a number of differences from all the other developed systems. It has its strengths, as well as its weaknesses. It is clear that the advantages outweigh the drawbacks, or it wouldn’t have become so wildly popular. Before going into further detail, let’s go through a brief history. The first information about Bitcoin appeared on the internet in 2009. It was first released on Windows XP. At that time, only a small circle of people were aware of this new technology, later called Bitcoin. However, later the forum was opened, which to this day remains the platform for free discussion on this topic. The volume of mining increased, the commission per transaction was increased and so on fed into a rapid increase in user interest. The first major breakthrough of Bitcoin took place in the Fall of 2013 when its rate rose to the $1,000 dollar level. Prior to that, the rate was consistently in the $5-$10 dollar range. This enabled the popularity of cryptocurrency to rise. Through to 2017, it continued slowly, however, steadily, more and more people became interested. Among the average users, the so-called “cranes” were especially popular, enabling the regular receipt of small amounts of BTC free. The second Bitcoin breakthrough was in 2017 and was much like the first. This time the total capitalization rose even more significantly, leading to a sharp jump in the stock price. Within a period of 9 months, the price rose from $1,000 to nearly $20,000 dollars. On the 17th of December, 2017, it reached the record value of 1 BTC for $19,500 USD. Up until this time, not one financial asset had ever experienced such a sharp spike in total capitalization. Which is why Bitcoin, and the cryptocurrency industry in general, began to attract the interest of not only major investors but also ordinary internet users as well. This is what we mean by the “hype”, which is visible all across the internet and mass media. The astounding success of Bitcoin has led to the appearance of other cryptocurrencies. At the moment, there are around 1,000 different cryptocurrency projects. However, only several of the more successful projects have the potential to be on the exchange and reach those kinds of levels of growth. It isn’t possible to go through all the start-ups in this area individually in any reasonable amount of time. They all operate on the base technology Blockchain. It is spread across a decentralized network, made up of many units that are completely independent of one another. At the moment, when viewing cryptocurrencies as a payment system, some of its key benefits are clear. The system works in such a way that users’ personal information is not saved. Therefore, it is possible to transfer any amount of money without worrying that the funds will be blocked or held, as often happens with other payment systems. The classic cryptocurrencies (Bitcoin, Litecoin, Ethereum, and others) don’t require users to divulge any personal information. It is well known that all the transactions are transparent, meaning that anyone who wishes can access information such as the sum transferred, the recipient, the date and time, various technical details on the process of block mining and so on. However, all of the information related to operations is de-identified, meaning that it can’t be tied to any specific person or computer. This is some contention on whether this is an advantage. However, Blockchain is positioned as being both open and transparent and, at the same time, anonymous and well protected. In contrast with other payment systems, cryptocurrencies are under the central management of one controlling body. It is a widespread network with millions of units, made up of both the computers of everyday cryptocurrency miners, as well as large mining farms. Such a set up provides a high level of stability and system fault tolerance. Which is why, in its entire history of existence, Bitcoin and analog currencies have never experienced any significant glitches, leading to a complete system shut down. The last time the system was successfully attacked by intruders was in 2011. At the time, Bitcoin had not yet become popular among ordinary users. However, even in this case, it didn’t cause any financial losses to the average recipient. Blockchain charges a fee per transaction, which the miners receive when they process a transaction block. The higher they are, the faster their request will be processed. The commission is calculated unusually (not in the form of a percentage of the amount transferred) but based on the actual number of blocks in the bytes. Which is why transferring large sums of money incurred fewer commission fees than in typical payment systems. It is necessary to note though, that Bitcoin commission has increased along with the rise in stock price. Therefore, this advantage is mainly applicable to other popular cryptocurrencies. • there for no financial guarantees or obligations, as well as no legally responsible body. There isn’t a consensus on this question. Some predict that all cryptocurrencies will quickly fail and completely disappear, at least in their current form. Others are certain that in the future they will succeed on a global level, and Bitcoin or another analog system will replace the dollar itself. In this article, we make any predictions. However, there is one thing you could say with 100% certainty, Blockchain, the base of all cryptocurrencies (including Bitcoin), isn’t going unnoticed. Meaning that the existing monetary systems will inevitably suffer due to the fundamental changes triggered by 21st-century digital technologies. We will bear witness to these changes taking place in the near future. It is impossible to see the future. However, it is already possible now to start profiting from cryptocurrencies in their current forms. At the moment, it is one of the most profitable topics. There are a lot of ways to profit from cryptocurrencies. In order to give a complete overview, we will go through some of the most popular. However, they are far from the only ways accessible to beginners. Direct Investments. Direct investments in terms of exchanging crypto coins for real money. Investors have assessed that when the stock price increases in the future they will be able to sell the coins for more than they paid for them. For example, those who bought Bitcoin prior to 2017 could receive up to 20 times their initial investment at the end of the year. Even smaller investments achieved remarkable returns. This approach has its drawbacks, such as, it is only possible to profit off market growth, there is no reliable, concrete time frame, and you must invest significant amounts of money to earn notable returns. This is the name of the process of mining new crypto coins, which were not previously in the system. In the first few years of Bitcoin, it was possible to earn decent money from it. However, nowadays it is very difficult for the average user due to the opening of industrial-level mining farmings. To earn any significant amount of profit a high computation capacity is required, and achieving this level is expensive. Trading on the Exchange. In contrast with buying cryptocurrencies outright, trading on the exchange enables you to earn profit in any situation, even if the value decreases. Traders must forecast correctly to profit from trading operations. If the price objectively moves in the expected direction, then the trader profits. The total of the return on the investment is dependent on how strongly the direction changes from the moment the trade is entered. Trading with Binary Options. It is the simplest way to profit off cryptocurrency. It has the exact same principles as outlined in the previous point. However, it has one unique advantage. Every trading operation (option) has a fixed profit. All that’s required is to correctly forecast chart movement in the duration of the trade. In this case, the distance between points, which the price passes prior to the exact moment the trade is closed, has no meaning. This isn’t reflected in the percentage of profit. Trading with binary options specifically is the simplest and most accessible way to earn profit fast. You can begin with a minimal deposit. Many companies start deposits from only $10 dollars, and on some brokers, you can start earning without any deposit at all. Some brokers hold weekly tournaments for demo account users. As a prize, they offer real funds for depositing in a live account, off of which you can truly start earning. With 20 prize places, they offer everyone a chance. However, for beginners, it is not worth trying to win competitions, because they require specific trading experience, without which it isn’t possible to achieve the necessary results. Trading platforms from our rating, that are closer to the first place are the best choice for beginners because of their favorable trading conditions and their collection of educational programs. Within the context of profiting from cryptocurrencies, it is worth mentioning that many platforms offer a unique asset called CRYPTO IDX or another variations of that asset. It is a so-called crypto index. It differs from the typical cryptocurrency pair as it is an average course consisting of BTC, ETH, LTC and ZEC, and also ICO. As a result, it is an asset in its own right. One that is ideal for traders who utilize technical analysis. It is possible to trade in the second time frames. The duration of one trade, in this case, ranges from 1 to 5 minutes. CRYPTO IDX is a creation of Binomo that has become very popular among traders.